Not yet available for purchase in Kuwait but coming soon. I picked up an extra dimension eyeshadow in Legendary Lure and a Bronzing Powder in Refined Golden from MAC’s Alluring Aquatic Collection (which I’ve previewed here). Legendary Lure is described on MAC’s website as a deep cerulean but it looks like metallic grey to me. Refined Golden is described as finely spun golden with soft pearl but it looks to me like a orange-based bronze with some shimmer. So excited to play around with these two! I’ve always wanted Refined Golden which is part of the permanent line (you can get it at any time) but I’m glad I held out for this long because now I own it in the limited edition packaging and let me tell you, Alluring Aquatic’s packaging is stunning! 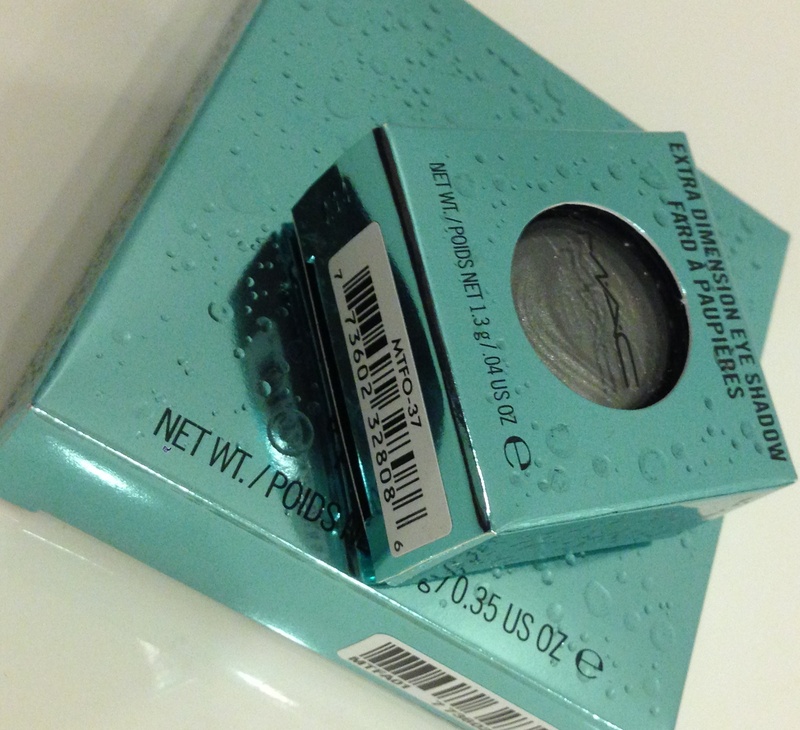 The blue packaging and those 3D water droplets are absolutely gorgeous! When I say 3D, I mean they are raised, so you can feel them when you run your hand across the product’s packaging (think Braille). Aside from my gushing about the beautiful packaging (I mean come one, it’s pretty unique!) I can’t give you an honest review just yet because I haven’t properly used them aside from swatching them on my hand. Reviews to come.